Gogarth Hall Farm01654 791235work FarmhouseSituated within Snowdonia National Park in a peaceful part of Mid Wales, Gogarth Hall Farm offers peace and tranquillity that is rich in wild life and a haven for rare birds. Gogarth Hall overlooks the Dyfi Estuary and is only a short drive away from the sandy beach of Aberdyfi. It has magnificent views from the bedrooms, dining room and lounge. A traditional Welsh breakfast is served in the dining room. Guests are welcome to meet other guests and enjoy each other's company. You even get to learn a few words of Welsh! The grid shows the prices and daily availability from Fri 26 Apr 19 to Thu 2 May 19. It's easy to check availability for particular dates; just use the calendar to choose the check in date, select the number of nights and click the 'Search' button. Click the Book Now or Book Direct button to book the highlighted days. With Book Now the room booking will be confirmed immediately, with Book Direct the room reservation will be confirmed within 24 hours.. Situated within Snowdonia National Park in a peaceful part of Mid Wales, Gogarth Hall Farm offers peace and tranquillity that is rich in wild life and a haven for rare birds. Gogarth Hall overlooks the Dyfi Estuary and is only a short drive away from the sandy beach of Aberdyfi. It has magnificent views from the bedrooms, dining room and lounge. A493 from Machynlleth towards Aberdovey and Tywyn. Entrance to Gogarth Farm after 6 miles on the right hand side. Large white sign - Gogath Hall Farm Holidays. 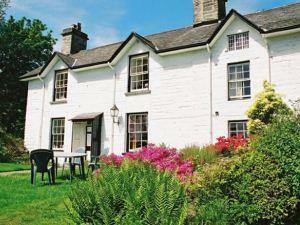 Access Statement for Serviced accommodation at Gogarth Hall Farm holidays. Signposted off the A493, approaching from Machynlleth a large white sign situated on the right Gogarth hall farm holidays B+B .Road leads to a tarmaced forecourt. There is plenty of parking space. Entrance off the fore court posted Gogarth Hall. The dinning room and the lounge are on the ground floor, we ask our guests to tell us when they require breakfast it is served from 7.30am– 9.00am Wide stair case leads to the bedrooms. The family room consists of a double bed and 2 single beds ideal for a family. It has en-suite facilities and tea making facilities, there is also a TV with DVD and video in the room. Fresh milk is available in a small fridge on the landing, you help yourselves. VIDEOS and DVD are located downstairs for your use. The double ensuite room has a Super King seize bed with tea making facilities and a TV combined video DVD. Videos and DVDs are available downstairs for your use. Fresh milk is obtainable from the red fridge on the landing, you help yourselves. Brochures available and Insurance Evening meals are served in many places in the area, you can find details in the information wallet in your bedroom.